Evil twins always have goatees. So evil, he has flies around his head. 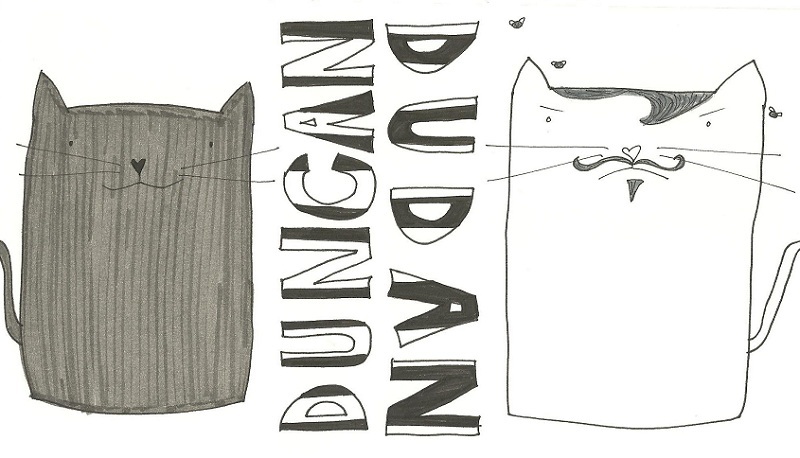 Even sweet little Duncan has his moments when he appears to have an evil twin. We like to call him Dudan. Actually, I think Adam just said it one day and it stuck. Adam seems to think he told me a story about it but I don’t know…lemme go check. Nobody wants to march over top of bite-y dogs. Adventures in Grocerystoreland: She really likes fruit.